Nurse Burnout is Broken: The Way We Think About It is Broken. There are several things wrong with the way we think about nurse burnout. This is troubling for several reasons. If we do not have a clear understanding about burnout, then we cannot help nurses who may be suffering from it. To be honest, when I sat down to write this post, I kept started. And then stopping. You know, when you are in Microsoft Word and you start typing. Then you have another thought… hit back space until you are left with a blank screen and then start over. Because this topic is HUGE. Quite frankly, this is not one post. This is many. And so, I am going to section out the bullet points below with the ways that we think about burnout in a “broken” way. And then each bullet point will be expanded upon in a subsequent post. Nurse burnout can be talked about in various stages. There are the underlying effects- the reasons why a nurse may be suffering from burnout. Then there are the symptoms- those things that nurses experience as a result of burnout. We don’t think about it. How often is burnout a course in a nursing education curriculum? When does an organization teach the nursing staff about burnout prevention strategies? 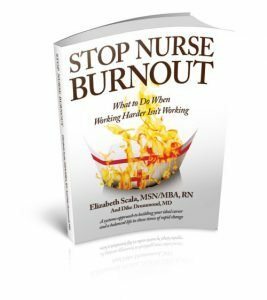 The first thing that needs to happen is that burnout is actually brought to the forefront of the nursing profession. Over the past year or so, it has gotten more attention than ever before. However, there is still work to be done. We stigmatize it. Since a nurse does not want to be seen as weak or viewed as though he or she is a failure, we tend to sweep burnout under the carpet. In fact, I saw a post on social media that wanted to eliminate the use of the term “burnout” and call it something else. If we assume that the person experiencing burnout did something “wrong” then of course they will not admit that they are feeling this way and will not seek out much-needed help. We expect others to fix it. While I do believe that the nursing profession, hospital systems, individual organizations, and nursing leadership and management need to support the individual nurse in their well-being- it is ultimately up to the nurse to be accountable for their own health. A nurse who thinks, feels, acts as though they are the victim of burnout and that someone else caused them to experience it- is much less likely to turn things around and find any relief from the stressors of burnout. We put a Band-Aid on it. Burnout is actually the consequence of multiple other factors. If a nurse thinks that by simply taking a short break from work is going to fix their burnout, they are sadly mistaken. The underlying causes need to be identified and addressed before the burnout will ever go away. We call it something else. If you hear someone say, “I just need a break. I am stressed. I need to re-charge my batteries.” Watch out! Burnout is very different from stress. A nurse falling into the downward spiral of burnout needs much more help than someone who is experiencing a stressful event. We fail to measure it. Unfortunately, this is true of all topics within nursing. Nurses have little time or resources to actually conduct research. The few studies that are published related to nurse burnout have limitations such as low sample sizes and weak study designs. If we do not have the literature to support nurse burnout, then we will not get the support from decision makers in power. Then, we cannot evaluate it. No studies- do data. Without the outcome measures, there are little interventions that can be put into place. As stated above, the powers that be need to see the data. Healthcare has become likened to a business. Without money, new interventions that can help alleviate nurse burnout, will not be adopted. We label it “all bad”. When we stigmatize nurse burnout as though the nurse did something wrong or become infected with some illness- we perceive all burnout as being bad. This is not true. Burnout can be good. In fact, when a nurse realizes that they are suffering from burnout and decides to do something about it- their life can be changed forever! We keep doing the same thing. And keep getting the same results. A nurse who knows that they are experiencing burnout and continues to push hard is not going to succeed. Or maybe the nurse DID actually try something to help alleviate the burnout, but it did not work. Then they try it again and again. And again. Still not working? Well, maybe they need to try something different. We don’t give it priority. The health of the nursing staff impacts everything. Patient safety, patient satisfaction, outcome measures. You name it. Burnout is the virus that can affect all things. However, since it is a “soft” topic that is difficult to measure and evaluate, it often gets pushed further and further down the list of agenda items. Or gets bumped from the agenda completely! We must see nurse burnout as a priority and give it the time and attention that it needs. 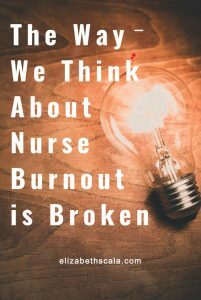 I believe there are actually more ways in which we think about nurse burnout that are broken. And I would like to hear your thoughts on this. So instead of me going on and on, let’s get your take. And remember- this article is the first in a series. I will take each bullet point above and expand upon it further in a subsequent blog post. Fun times ahead! Check out the Nurse Burnout Prevention Matrix, with over 100 nursing burnout interventions. What would you add to the above list? 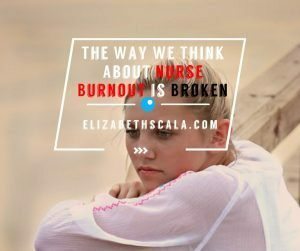 How do you view the way we think about nurse burnout as broken? Maybe your comment will lead to a subsequent blog post! Maybe you would even like to write a guest article. Share a comment below. And thanks for reading! I was just having a conversation with a coworker about this yesterday. Of course we did not call it Burn Out but maybe that is what it really was. This co-worker is an awesome nurse, very knowledgeable, great attitude (most of the time) but she is “tired”. Tired of feeling like she is not making a difference. As an ER nurse she wants to see that the work she is doing is helping people and changing lives. Isn’t that part of the reason that we all went into nursing in the first place? The problem is that patients aren’t even taking care of themselves. They come to the ED with symptoms that they haven’t even begun to try to take care of (i.e. fever but don’t take Tylenol or Motrin). Patients are becoming more rude in how they treat us nurses and yet we are held to a high standard of how we treat patients in the almighty name of HCAHPS. We have to somehow deal with the emotions of having one patient that is critically ill/dying and another patient that is cussing you out because you did not bring them a warm blanket or something to drink fast enough We have to do more with less resources. Not to mention how we are treated as ER nurses when we take a patient to the floor. Sometimes all the work that we have just completed to get the patient ready to take to the floor is completed undone when we get there and the RN’s on the floors can be downright mean to the nurse bringing the patient. I’m not trying to paint a picture of perfect ER nurses being treated poorly, we have our own faults but how can we get along with each other. How do we support each other as fellow co-workers across department lines? We should not be or act like enemies but do what we can to help each other. I think there would be less stress if we could do a better job of working as a team through out the hospital, not just RN to RN but with every one. I don’t want this RN to give up on nursing. I want her to rekindle the joy of nursing and to see that she really is making a difference in people’s lives. Thank you for your blog and for addressing a topic that I think is so important! Thank you for coming by, reading the blog, and taking the time to share your thoughts. You stated that this nurse was “tired… tired of feeling like she is not making a difference.” When we review the Maslach Burnout Inventory scale, we can categorize it into three key areas. These are emotional exhaustion, mental/emotional fatigue, and then the third… which sounds like your colleague. The feeling that we are no longer making a difference. When we leave work questioning if we made a difference. Burnout is tough. Very tough. And often, something that ALL of us go through- at least once. To me, it does sound like your colleague is experiencing burnout. There are so many hardships in nursing… in the profession of healthcare, really. Many of which you outline- difficult patients, managing colleagues, expectations from various work flow areas. The list could go on and on. Since burnout is not really a problem- that is right- it is NOT a problem. It is a dilemma. Since burnout is not a problem, but rather a dilemma, we need strategies. Strategies that we put into place and maintain over time. While one strategy may work for one person, there are others that work for other people. Each person has to find the strategies that will work for them that will help them keep burnout at bay. I am glad that you found this post useful. You are right- this topic is SO important. The reason I do it is because I do not want to see nurses leaving the bedside, as I did. Feel free to share this blog and any other post with your nursing colleagues and friends. I was talking to a long-time friend and colleague about our experiences in nursing. She said that as nurses there is no incentive to stay at the bedside. So many ‘good nurses’ leave the bedside and search for ‘something new’ and exciting. They are excellent nurses but get burned out because they don’t feel values or stimulated for the work the are doing. I call this another form of burn-out! Who loses? First the patient, second, the nurse, third the organization and 4th the practice of nursing. You are so right, Anne. This is why I am doing the work that I do. We do not want/need nurses to leave the bedside!! We need them there!!! Especially now. You are right that not feeling valued or appreciated is something that drives people from the clinical work. This is actually one of the three main components that the Maslach Burnout Inventory covers. How can we ensure that nurses feel their worth at the bedside? Maybe something we can ponder together and work on as a whole. Thanks for your insightful comments! We definitely need to find a way to increase the amount we measure burn out so there is plenty of data to evaluate, to create a more actionable plan as well as increase awareness. I agree with you that Burn Out is under identified and labeled as bad. We need to make a change and I am happy to see you making great strides in this area! For me raising awareness and teaching self care is one way I am working to reduce burn out in my unit. Great to hear from you! Yup, we need data. Data speaks to those that make decisions and have finances. So, the more we can study this and grow the body of data on this topic… the better. 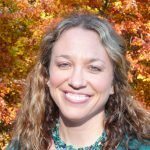 Great points about self-care and role modeling wellness for your fellow nurses. Burnout is not bad, as you stated as well. It is more common than we think. So let’s keep talking about this to allow nurses to help each other!! Thanks for all of the great work that you are doing in this area. Appreciate your comments! The first time I experienced burnout, about 40 years ago,the term was just coming up, and I felt a visceral identification with it. I did not know that changing my field of practice, employers or going back to school would not make a difference. I did both several times and even quit working as a nurse for a while. 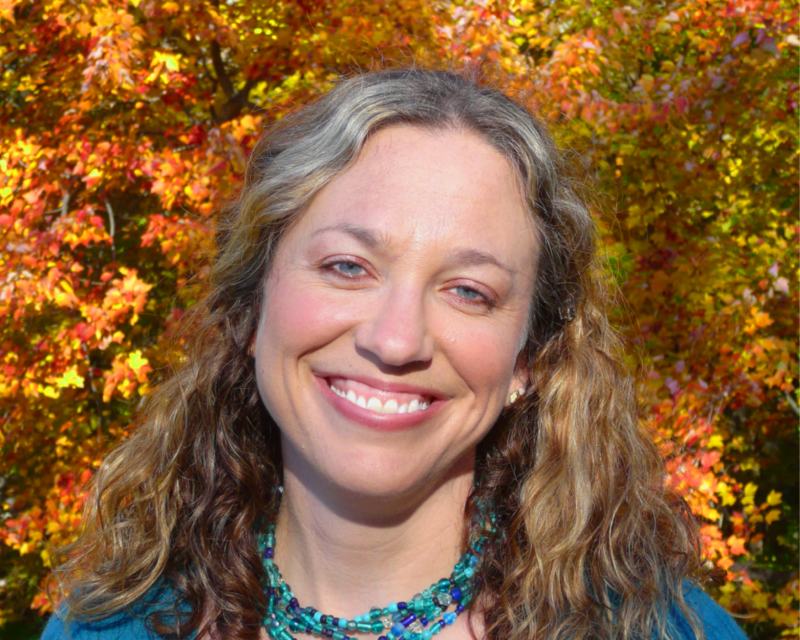 Another time I experienced burnout, I felt profound shame which surprised me. I grew from the experience choosing to stay where I was working and got help through the EAP (Employee Assistance Program) offered by my employer. This profession continues to call me and I answer for many reasons. Now working a part time job while developing an online business- (new world of nurse entrepreneur) I realize that I can push to burnout on my own! Who would have thought? Distilling the feelings and behaviors and exploring Vital exhaustion, which is the term now prefer, I am taking responsibility for how I prioritize my activities in a day.Valuing me has become an essential part of my world and everyone in my life is benefiting from it. I agree that we need research data and education on prevention. I believe that once again nursing has something to offer all of our colleagues and the greater population and culture. So many people burnout in whatever they pursue because they don’t know about burnout prevention. This may be a social and consciousness lesson we all need learn.There is burnout among social activists, among pharmacists, students, homemakers, and dancers. There is a gift in this healing journey. We discover compassion, kindness, humility, deeper connection with others as we discover our vulnerability is not weakness. All of the replies are ring so true too. I am looking forward to the series that you post and all the sharing. Thank you, Padma, for sharing your experiences with us. It is very common that a person experiences burnout more than once in their life. And you are so right… even when one is working for themselves they can push to the extremes of burnout. We, as nurses, can certainly help others with this issue. If we role model good self-care and healthy habits, others will follow our lead. Thanks for sharing your comment! I have had many former DNP students investigate compassion fatigue, which is related to burnout. Compassion fatigue occurs when the nurse is in a position that continually challenges the nurse’s ability to give the kind of care that is ethically due to the patient(my definition). As I read though the comments already written, I see the phrases “not appreciated, guilt, not stimulated, not valued, no incentives, and not making a difference.” There was something else that I noted in Valerie’s comment. Nurses expect patients to accept teaching and improve. When patient return again and again with the same problem, we feel a type of failure, which is demoralizing to us. Then, we may feel that our efforts are a ‘waste of time,’ and we only want patient assignments where the patient is a willing participant in lifestyle improvements. After we think about our attitudes, we feel guilty because we are selecting out the ‘good’ patients. Interesting topic, and I look forward to reading your next article. Thanks for the feedback. You bring up an excellent point about nursing. We are the professionals who create the healing environments for the patient coming to us for care. However, you are right on when you speak to the fact that the nurse cannot force a patient to change, grow, learn or heal. That is up to them. So it does become frustrating as we feel that our work is in vain. Thanks for bringing up this issue. And for sharing your comments about the related compassion fatigue! Katharine, thank you for taking time to share your nursing career experiences with us. And you are right- burnout does have a purpose. When we put it to use, it can actually work in our favor. If we observe our routines and then change them, we actually learn from and grow through the burnout. Great points! Thanks for also describing how instrumental the holistic nurses can be in helping us take care of ourselves and prevent nurse burnout. Great points! I neglected burnout for years, never addressing it, never seeking help, always feeling like there was something wrong with me, always putting a Band-Aid on the situation. TRUTH- we MUST address it- chop it off at the neck, because if we don’t, we feel apathetic, out of control, sad, and we LEAVE the work we are doing. And that is just plain wrong. Take control of your situation. Make yourself a PRIORITY. Address your needs. I look forward to your future blogs on this important topic Elizabeth! Thanks, Nicole! You are right… we need to address it. And if we do not, we will just continue downward in the negative spiral. Appreciate you stopping by and sharing your thoughts! Great post Elizabeth! The work you do is so very important to the future of our beloved profession. Hi Elizabeth and thank you for addressing this ‘epidemic’ issue by inviting real nurses to work together to share their experiences as well as innovative ideas to help look at this issue from the folks ‘on the front lines’, dealing with it as only the ones who have,had or are currently living with the damaging effects of this issue. I, like all the nurses I know, started out 25 years ago with a passion to help patients at the bedside… over the years I have worked in multiple areas of nursing. I went on to obtain my MSN, becoming certified as a Nurse Practitioner. With this along with the multiple reasons given by the nurses who responded to your blog, I quickly moved farther and farther away from the 1:1 connection with my patients. I have been researching for some type of nurse advocate group to join, brainstorm and develop methods for ‘the nurses’ that come from our experience, that isn’t a complaining/venting group, but like minded, innovative group to can make a true impact, with answers to help the ones effected by this growing epidemic….. Nurses Advocating for Nurses. I welcome any and all ideas to form this solution-oriented group. You are so very welcome! I am glad to hear that you enjoyed the blog. Feel free to share with colleagues or keep coming back for more content like this. Enjoy the day!